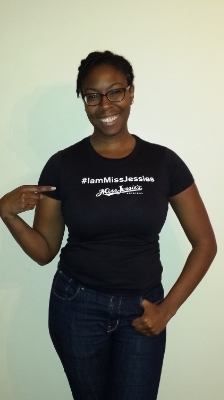 As a fellow (natural-haired) black woman entrepreneur, I was delighted to be asked to participate in Miss Jessie’s virtual book tour and write a review of Miss Jessie’s: Creating a Successful Business from Scratch – Naturally. For those who do not know, Miss Jessie’s is a hair product line that caters to multicultural and curly hair. You will most commonly see the products at Target. Miko and Titi Branch, founders of Miss Jessie’s, revolutionized the hair care industry by catering to an overlooked group of women – women with curly hair. The book shares Miko and her sister’s journey in developing the concept of Miss Jessie’s to launching their products across major retailers around the country. I appreciate Miko’s ability to not only share the good around starting their company, but also the hard challenges along the way (including a rift between her and her sister/partner). She also includes numerous business tips throughout the book for entrepreneurs. Of course as a fellow business owner, I was interested in the lessons I could learn around starting and growing a company (although many of the lessons are applicable in life, period). Here are some of the key themes I pulled from the book about creating a company on your own terms. We often see stories of entrepreneurs raising thousands and millions of dollars to start their companies, especially in the tech industry. However, the Branch sisters pulled their resources together and bootstrapped their startup and growth. They have never accepted any outside financing and they have an international company! This is an inspiring and telling story of how to use your current resources to start small and scale wisely. They learned from a previous mistake of purchasing a bigger salon too early on how to scale more appropriately. I appreciate the story behind their grind to self-fund their company through their other ventures, especially because only 1% of African-American founded companies are venture backed. With so many entrepreneurs having to bootstrap their company, the Miss Jessie’s story provides more hope that it is possible to build a successful business. Working closely with your customers will tell you what they need. I just talked about this same thing in my last blog post, How to Find Your Ideal Customer. Miko shares how they have always worked closely with women and their customers to understand their lives, daily struggle, and how their hair plays a role in this. By really knowing (and being) their customers’ intricacies they are able to serve their needs. They know how these women want to live their lives and help to make that easier, not just their hair. For businesses, we have to do the same. Know your customer inside and out and how she does and wants to live her life. From here, determine how your product can make her life easier and better to help her accomplish her goals. Seeing other entrepreneurs that you can identify with is inspiring, important, and empowering. The Branch sisters grew up in an environment where they were surrounded by black entrepreneurs in various industries. Miko received one of her initial opportunities working for a black-owned hair salon. I appreciate Miko’s emphasis on how “progressive, entrepreneurial and fearless individuals…gave us something to aspire to.” Miko and Titi’s story inspires me and other established and aspiring black-women entrepreneurs. Miko also communicates how important it is to “be a brand with a heartbeat” by helping others. I also think it’s personally imperative to give back and help other entrepreneurs through the knowledge and experiences I’ve gained to help them reach their goals. We are all better when we work together. Miss Jessie’s: Creating a Successful Business from Scratch – Naturally shares various stories from Miko’s childhood and adulthood that highlights the skills and opportunities that led her to where she is with Miss Jessie’s. It was a perfect reminder how many situations in life – good, bad, personal, and professional – have prepared you for your destiny. You are equipped to start and run your business – even if you need some help along the way. Draw tenacity, resourcefulness, and determination from your life experiences to help you keep moving forward. Miko and her sister received a lot of support from others and each other to build their company. There were numerous instances of Miko seeking a mentor or advisor to help her learn how to more effectively accomplish goals, so she could create her dream. She strengthened her skills and gained her expertise from the guidance of others in her life, in addition to her willingness to work hard and persevere. But Miko also understands her strengths and weaknesses and had her sister and a team around her to take Miss Jessie’s to the next level. Having the right team is imperative to make proper success. If you can work well with each other and complement one another then your company can go much further. Also as some of you know, we loss Titi late last year and I wrote a blog post about the struggle of being a woman entrepreneur in response to her death. Miko also writes a heartfelt letter to her sister in the book. Yes, Miss Jessie’s: Creating a Successful Business from Scratch – Naturally is a great story, but Miko’s strength to keep pushing forward after her sister’s death is even more inspiring to the core. It has taught me (and I’m sure others) that despite what has happened in your life, you can push through it. Miko has provided much support to others in the community and this book is yet another link of that. It’s important for us to do the same for her and I highly recommend you buy her book today. ## Sign up today for FREE Miss Jessie's giveaways - products and a signed copy of the book. Limited time offer expires April 13th! About Nichelle: She is CEO and Founder of BOLD Guidance, an online and mobile platform changing the college admissions space. Nichelle provides strategy through writing, speaking and helping entrepreneurs to create their dream life by building their own startup.